Although you’d assume it was based on the same chassis as the Qashqai, the Tiida is in fact based on the old Renault-Nissan B platform, which also underpinned the Renault Mégane II. It came with a choice of 1.6-litre petrol or 1.5-litre diesel engines, and either a six-speed manual or a four-speed automatic gearbox. American readers wondering what the hell a Tiida is can rest easy – you were sold the same car badged as a Versa. You can have the Tiida as either a four-door saloon or a (marginally better looking) five-door hatchback, but in either case you’re getting something that’s basically a car-shaped box with wheels, and an almost total lack of excitement. A Tiida will go, stop and trundle around corners in a blameless, uncomplaining fashion, but it will never leave you wanting more. Mind you, there are some good points. It will almost certainly be reliable and solid, with the 1.6-litre petrol engine probably holding a fractional reliability advantage over the 1.5-litre diesel. Then again, the diesel will easily top 50mpg in gentle daily driving, so there’s that. The Tiida was also enormously well-equipped. At a time when rival Toyota was offering dealer-fit aftermarket Bluetooth phone kits, the Tiida came, as standard, with a properly integrated wireless phone connection, right there in the radio. Air conditioning was also standard and while the Tiida might be dull, it’s certainly spacious and comfy. Just watch for collapsing rear shock absorbers and any noises from the bottom end of either engine may mean that the oil pump is on the way out. As they were bought mostly as family cars, check the cabins for excessive child-based wear and tear too. Check the history as well, as Tiidas are often used as taxis. Prices are holding up, but around €7k will get you a 2009 Tiida diesel. Avoid the automatic option because it’s an old-fashioned four-speed unit. OK, so this is an excitement-free zone, what of it? 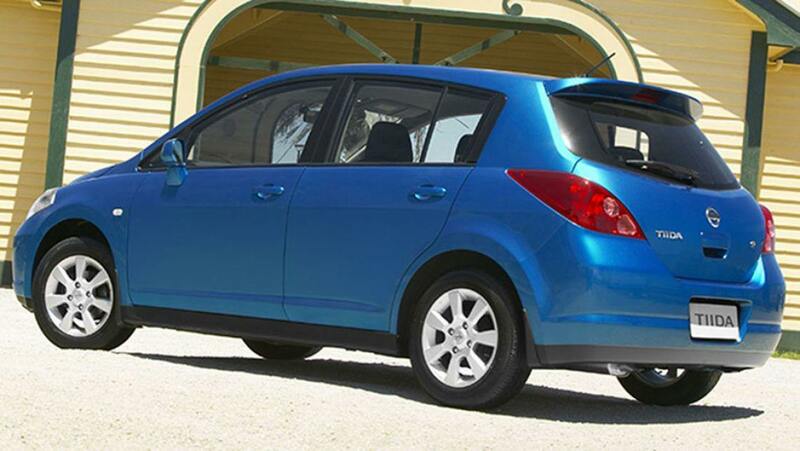 The Tiida might be as boring as a librarian’s holiday slideshow, but it’s simple, reliable, roomy and frugal.